Mimi is Great Lakes Region 8th Best Kitten - 2011-2012. 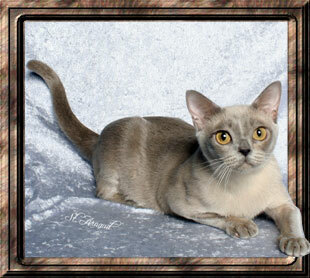 Photos:© Copyright Larry Johnson, Chanan, St Arnaud, D.H Muska and Penobscot European Burmese. Webmaster, graphics: © Copyright Wiggins WebWeavers.